Kathmandu is the biggest city and the official capital of Nepal. It is located in Kathmandu Valley, which has two other cities called Lalitpur and Bhaktapur. One is the old city and the other is the new city of Kathmandu Valley. The language spoken in Nepal is Napali. Kathmandu city has a total population of 700,000 and it is the only developed and modern city in the entire Nepal. The view from the Airport is so breathtaking as it is covered from hills all over and has untapped natural beauty and greenery all over. The main religion followed in Kathmandu is Hinduism. It is present in the center of the Himalayas and some of the peaks of the Himalayas are clearly visible. 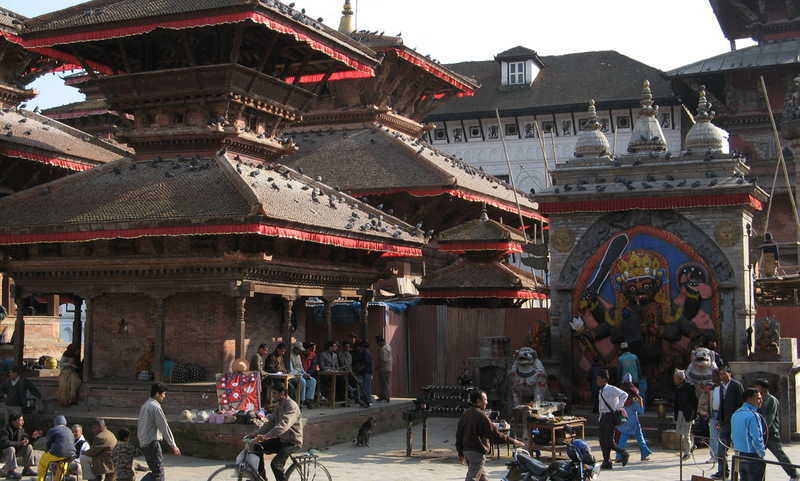 Kathmandu has a very famous temple that is called Kaasthamandap, which was built in 1567 AD. It is also called Marusthal and is entirely made of wood. It is now rules by the government, but once, it was ruled by the royal house. Swayambhunath and Boudhanath are two famous stupas within Kathmandu. It also has a famous Hindu shrine, called Pashupatinath. Kathmandu city, throughout the year, has honeymoon visitors visiting mostly from India. The city has a small thickly populated place where you will find monks in abundance. The city has seven most prominent groups of monuments that are rich in culture and heritage, which speak volumes about the city historic past. Durbar Square and Changu Narayan temple are very unique, which is worth a visit. Kathmandu has some of the best five star hotels in the main city and gambling in the casino is legal. it is very nice place for tourist ! One of the best places to Visit….Don miss!!! Thanks for keeping information about Kathmandu. Yes Nepal is one of the must visit Place of the world. So please welcome in Nepal. A country best for all seasons, especially in Kathmandu valley you can see many cultural activities through out the year. One of the best place to be. Cheap and best. I love the place. Very nice place to visit.Don’t miss it.